Brunch-type foods are my favorite, and today, I’m featuring avocado toast topped two different ways! The steps are so straightforward, and you can put practically anything you have in your fridge on top. Lucky for me, I had some leftover pan-seared salmon! 1) Toast the bread and put a slice of cheese on top of each. 2) Cut the avocado in half, remove the pit & skin, then cut into slices. Layer the avocado on top of the cheese. 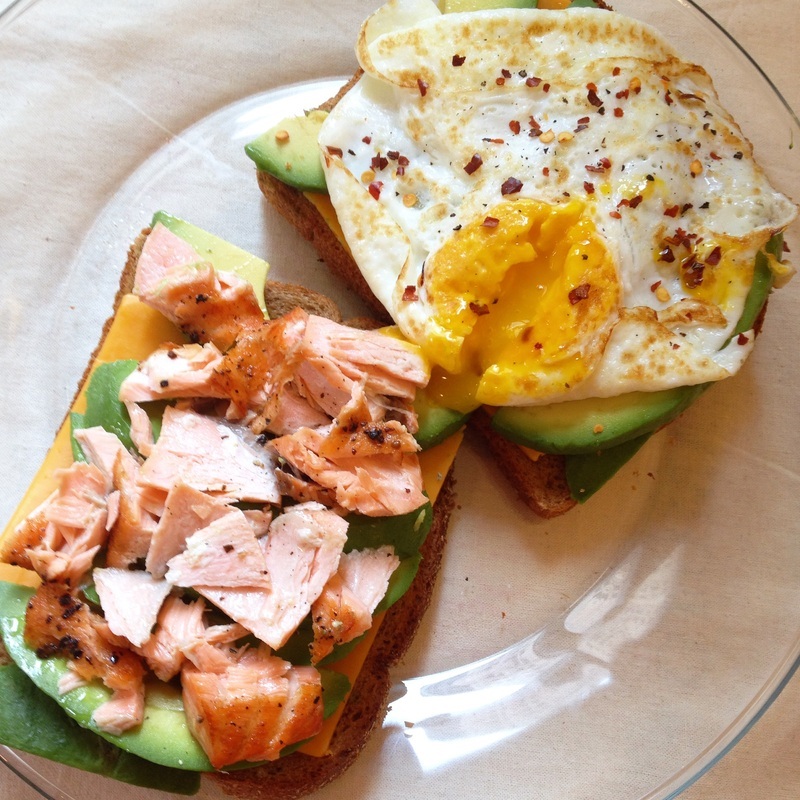 3) Top one with the leftover cooked salmon, or lox if you have it, and the other with a sunny-side up egg. 4) Sprinkle on salt, pepper & red pepper flakes to taste.